Traveling Quilts and a winner! I've been a part of a new "bee" recently. It's not really a bee in that it works differently... Each member started their quilt and each month it gets passed along to the next member who adds to it. And the best part? The last person to work on your top finishes the quilt for you - so at the end you receive a FINISHED quilt! 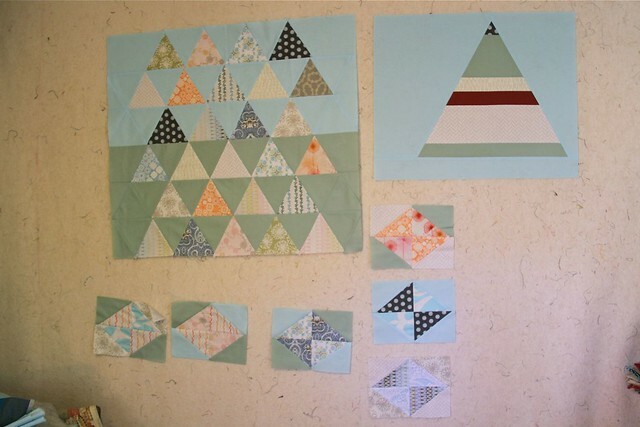 I'm desperately behind, but am going to catch up this week... meanwhile, John had started his top with the triangles on upper left, and Amber added the smaller blocks. I wanted to stick with triangles, but put on my own spin on it so I added the big ol' triangle. Here's hoping the person who ends up putting this all together (it could be anyone along the way...) can make my big triangle work! If you're interested, you can see all of the quilts in progress in the Traveling Quilts Flickr group. 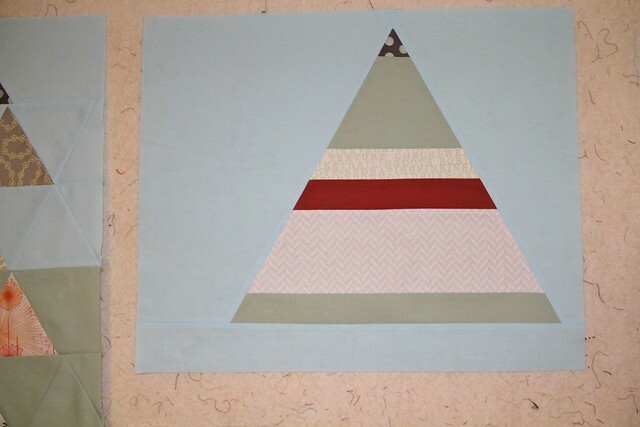 Ok - and now on to a winner for Shape Workshop for Quilters! Out of the 218 comments, the random number generator picked number 29. Congrats to Chandra D - look out for an email from me!